With a focus on co-curricular learning, personal wellbeing and stewardship, we develop belonging, confidence and empathy. Our extensive co-curricular programming complements classroom learning, by providing boys with opportunities to discover their passions and instill a sense of purpose, through arts, athletics and a wide range of other activities. Positive social experiences are an integral part of personal development. Therefore, fostering meaningful connections and relationships with others is a key feature of every boy’s co-curricular experience at UCC. In the Upper School alone, we have 45 interscholastic teams, eight bands and musical groups, several annual theatre productions and more than 60 student clubs, including a highly successful debate program, Model United Nations, chess and filmmaking — to name just a few. In the Preparatory School, engagement in co-curricular learning is a part of every boy’s daily routine. Boys can be found all over campus, involved in a wide range of sports, either interschool competitive teams or in our House intramural program. Prep boys also have numerous clubs and activities to choose from, including jazz band, concert band, wind ensemble, choir, debating, the yearbook group and plays. They also have access to a fun-filled, after-school program. "At my old school, no one did sports, clubs or any activities other than studying. At UCC I was on the cross country, swimming, and track and field teams. I was involved in the Mandarin Club, International Club and Key Club. In sports, I made friends with my teammates, who introduced me to the brotherhood of UCC. The sky is the limit." Safety and wellbeing are our highest priorities. We strive to keep our boys healthy in every sense of the word. UCC supports each student’s physical, cognitive, social and emotional wellbeing through a comprehensive system of supports at every stage of his learning journey. Being active is vital to wellbeing, thus, at the Prep, boys enjoy one full hour of physical activity every day. In addition, social and emotional learning at the Prep occurs, in part, through our Health and Life Skills course, which enhances the standard SK–Year 7 Ontario health curriculum. 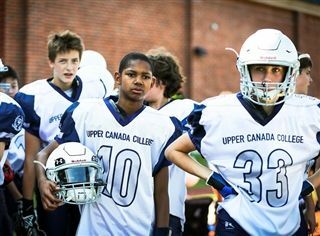 In the Upper School, boys keep active through their physical education classes, facilities such as our Fitness Centre, and the opportunity to play on 45 athletic teams. Our extensive programming appeals to all types of student ability, from those who enjoy fun, recreational competitions through house sports, to more dedicated athletes who want to develop their skills on our competitive teams. To be their best selves, boys need to feel their best. So, at the Prep and the Upper School, we have Health Centres with full-time nurses and counsellors who are supported by a team of health care professionals, including an athletic therapist and a local family physician for our boarding students. We foster a whole-school approach to wellbeing through our Advising and House system; the Richard Wernham & Julia West Centre for Learning, whose staff help boys understand their individual learning needs and provide guidance in areas such as time management and exam preparation; and our Norval Outdoor School, which provides grade-appropriate experiential education programming and opportunities to connect with nature and build relationships. We want our boys to grow to be open-minded and “other-minded” — to be citizens who respect and appreciate the people around them: those here at school, individuals in the local community and others across the globe. 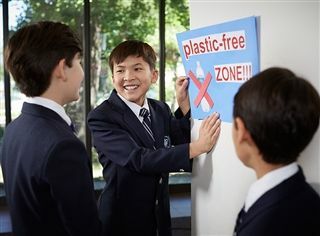 To support developing a mindset that extends beyond the self, we offer an array of outreach and community service initiatives at the Prep and Upper Schools that provide opportunities for each boy to leverage his unique strengths, learn from others, experience the value of pluralism and make a positive contribution to his world. Local stewardship examples can be seen among our student body through activities such as our peer-to-peer tutoring or the mentoring relationship our older boys develop with younger students. You can learn more about these initiatives in the Leadership section. 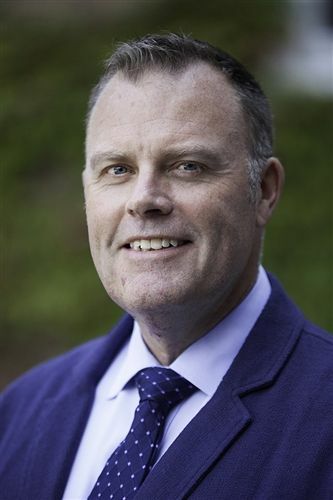 Examples of stewardship in the broader community include programs such as Horizons, which involves UCC boys tutoring students from priority-neighbourhood schools, Habitat for Humanity builds, or the Out of the Cold Program. Stewardship occurs farther afield, through travel opportunities such as our Nunavut exchange or through service trips to countries such as Uganda and Costa Rica. "One thing UCC stresses is to give back to the community. And I think Horizons is one of the best programs for that…. You’re helping different communities in the GTA and I think that’s a really important thing." At UCC, we understand the importance of a learning experience that’s comprehensive — one that extends far beyond the classroom. We provide boys with countless opportunities for growth, and with the supports they need to thrive on their individual journeys to becoming their "best selves.